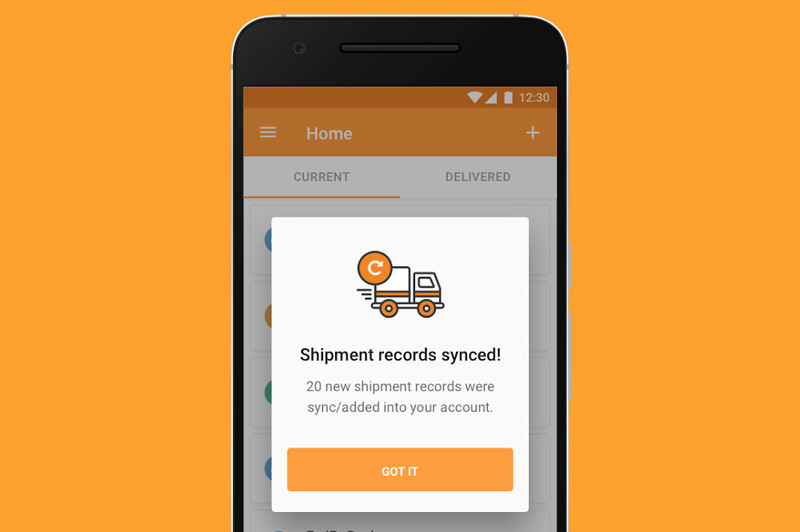 AfterShip, an old favorite of ours in the package tracking genre, received an update today that introduces the one feature that we thought would never come – account & device syncing. I say that because earlier this year, we made the permanent switch to ParcelTrack for all package tracking needs because of device syncing and because the AfterShip developer told us there were no plans to give us that same power. A couple of days ago, though, the developer behind AfterShip hit us up to let us know that he had a “Data sync” feature on the way that we could test before release. So we did! And it works pretty well! If you are wondering why the big write-up for a package tracker, just know that we’ve talked quite a bit about these in the past and wanted to update everyone. We’re big package tracking people around these parts. Some of us obsess over where our packages are, which hubs they pass through on their way to our doorsteps, and if/why they are seeing delays. Either way, AfterShip now lets you sync between devices using a Google account. It also has a “Mark as delivered” option and the ability to turn notifications on or off. If you passed on AfterShip like we did, now would be a time to give it another look.